Years of research went into this list. While at one point there would have been no real demand for it, the listicle has become a key instrument of modern lifestyle journalism. 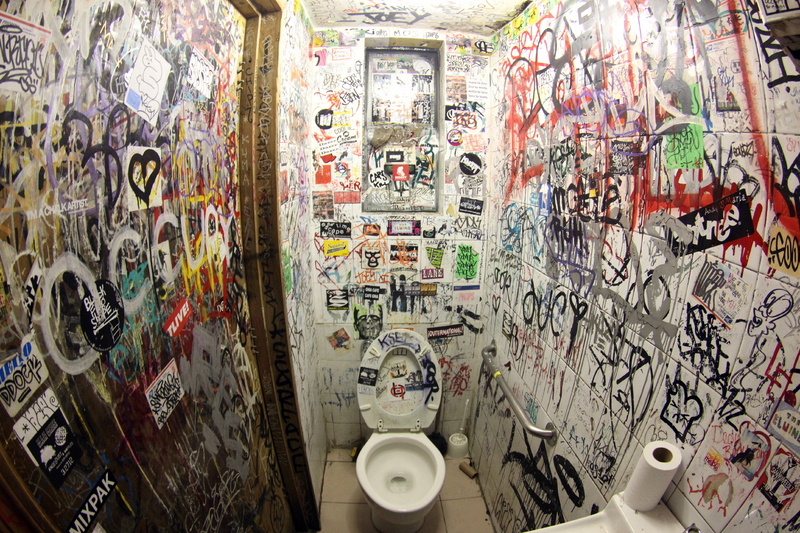 When it comes to ranking toilets, our general rule of thumb is: the bigger the club, the bigger the toilet. However, size doesn’t automatically imply quality, as you will see when you visit the toilets included here. In general, I advise you to make up your own mind and form opinions based on experience rather than blindly following this list. It’s simply a starting point—and it’s also highly personal. SchwuZ has literally the best club toilet I’ve been to in my whole life. There are probably fancier potties out there, but this bathroom makes an astonishing first impression. When you enter, you’re immediately blown away by the hundreds of stalls. There are stalls EVERYWHERE. They could open a whole other club in there. The interiors have nice little tables to leave things on while you’re hanging out. The booths are also decently sized, which is a plus if you like to take a crowd in with you. The Berghain toilets are where it’s at. They have their own lore and legend—including that there are secret potties stashed all over the place—so let’s take an in-depth look. All of the main restrooms in Berghain have a minimalist, utilitarian design: there are no shelves, which means you can’t lay a phone down anywhere, and the bowls are made of metal, which makes them easy to hose down. 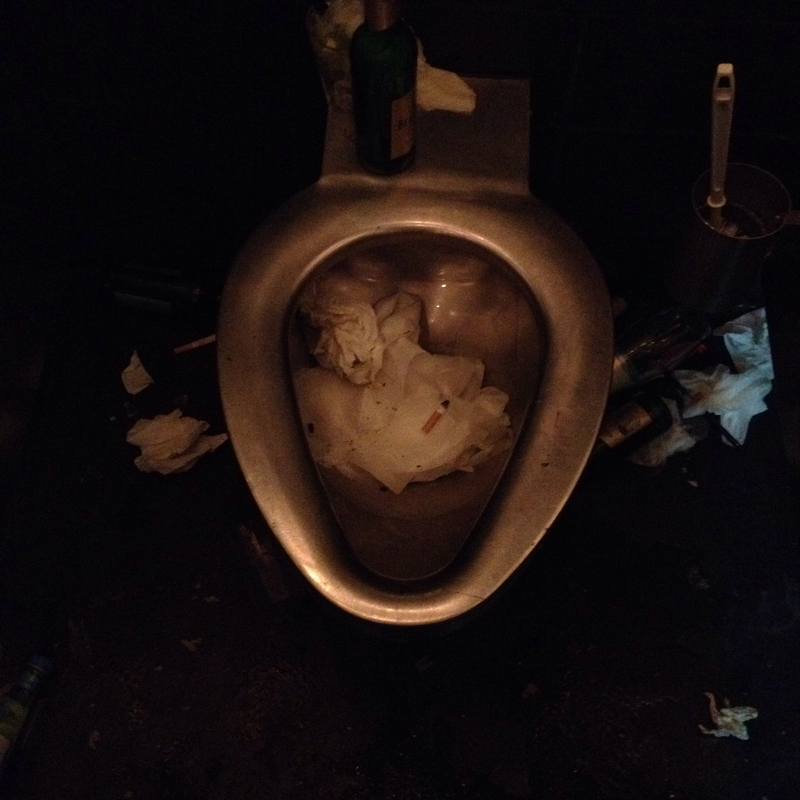 On most nights, the staff does a stellar job of cleaning those puppies every few hours, and that alone sets them leagues above most other club toilets. 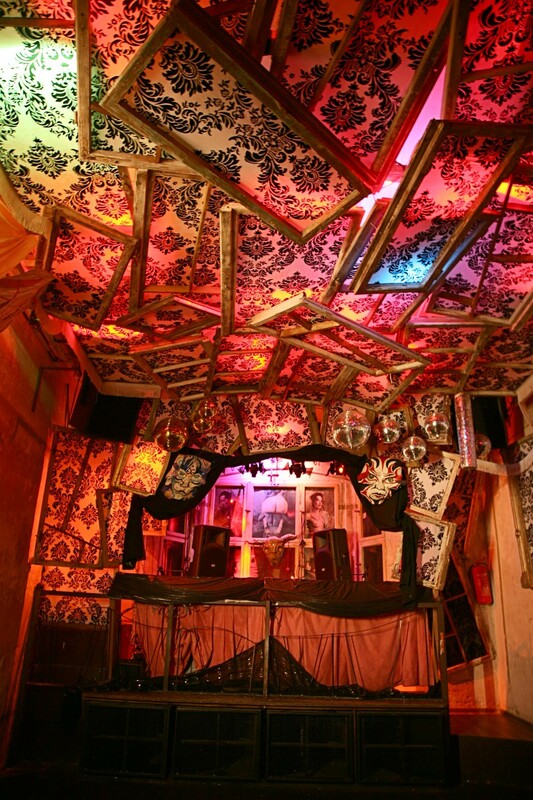 Panorama Bar’s main WC is a social hub, a place to meet people, a place to talk and lounge on ratty couches and smoke and cheer. Many music industry deals have occurred its bowels. It’s easy to get a conversation started and chat with an amazing new acquaintance for hours while someone who actually needs to pee pounds desperately on the door. The downstairs restroom next to the main Berghain dance floor is a classic—I mean, who among us hasn’t passed out there on the sofas while trying to decide to whether to go home or have another dance? The toilets on the ground floor are suuuper chill. You can peek out the window at the queue and lol at everyone down below. Berghain is a very unique club, and by now probably everyone has heard tales of expats’ sexual adventures there, but people are still super secretive about what’s going on in the toilet stalls. This is a bit weird. Hegemann’s is a classic club toilet. There’s nothing bad about it and nothing really special. The locks work well and the compartments are spacious. I would recommend this one to pretty much anyone who loves clubs and toilets. If you have ever dreamed of being REALLY CLOSE to a throng of unfamiliar bodies, this is your Eden. Once you wedge yourself through the sweaty people crowding the entrances, you can find some eloquent conversationalists. Security checks the cabins pretty frequently, which is both a pro and a con. They may interrupt whatever’s going on in there, but they’re not trying to arrest you. Plus, if you really need to go, the group in the cubicle that’s been standing around an iPhone and chatting with their AirBnb guest won’t be there too long. Have you ever wondered what would happen if you gave a whole house to those kids that you see at all the parties K-holing in some corner? Well, here it is. Renate is a house: some rooms, some beds and some toilets. There is no real distinction between the actual toilets and the dance floor in this maniac mansion. Be careful where you step/sit. It’s an ubiquitous, kind of eclectic approach to toilets. Some love it, some say, “This was funny for a bit but now is just so over.” You decide. The whole club is kind of a toilet, because it’s next to the water. And the toilets are kind of like the whole club, because they’re derelict, tiny and full of old people on K.
This one is for the connoisseur, so you must be somewhat adept in the world of club toilets to fully enjoy it. Not for the faint of heart, this is the true underground: grimy, gritty and kind of groundbreaking in its simplicity. The locks are often broken so you have to hold them shut with your foot while you hover-pee, and in that position it’s hard not to number one on yourself. You might find yourself in a huge queue at first, unaware that there are more toilets down the hall. That’s where the real magic happens. You have to experience this for yourself to understand the elation and glee one feels when he finds three empty stalls in a club at five in the morning. Technically this club is Tresor’s little sister, so it’s in the same building—in fact, the whole thing used to be a bathroom back when the building was a power plant, isn’t that ironic? It’s cozy, cute and nice. This one’s for beginners, and a welcome entry point into the world of club toilets. There’s a rumor going around that Golden Gate has a storage room full of fresh new johns so they can replace the broken ones after every weekend. It can get quite wild here, and parties last way into Tuesday. This is your real Berlin experience, something to write home about.